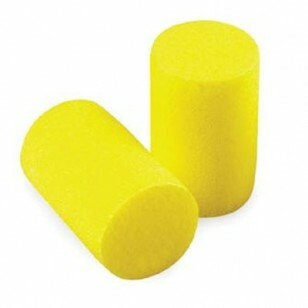 3M's E-A-R Classic earplugs provides excellent baseline hearing protection. Soft foam easily rolls down and expands to fit the ear, and its moisture and flame resistance ensures consistent performance. E-A-R Classics by 3M are a standard-setting product in hearing protection. The slow-recovery foam maintains a consistent expansion time even in humid conditions, and is flame-resistant as well for use in potential arc-flash situations. The reusable pillow pack keeps the plugs clean when not in use. For use in situations where selective hearing protection is not needed. Noise reduction rating of 29 dB.